The Summer I Did The Leaving recalls a seminal season in the youth of fiddler, raconteur and all-round rudderless hippie Aindrias de Staic (the Leaving Certificate is the Irish equivalent of the Scottish Highers). Through song and story he revisits intoxicant-fuelled adventures in Glastonbury, London, Glasgow and Edinburgh. Staic doesn’t want for enthusiasm or musical prowess. 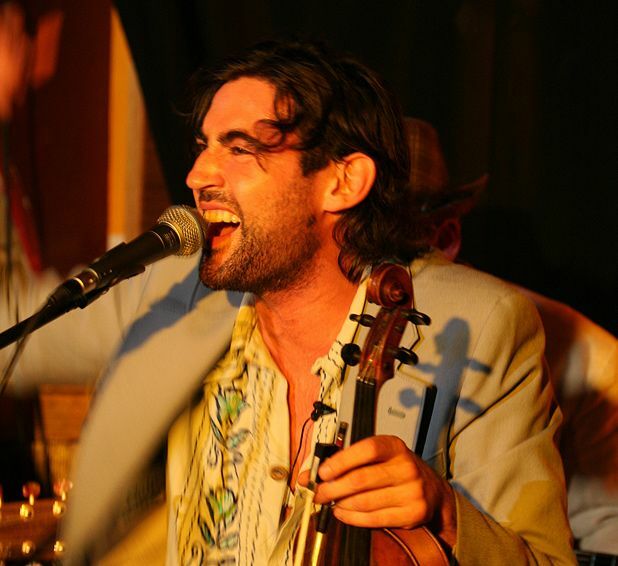 On his battered violin he belts out Irish, Scottish, Jewish and Roma folk tunes with accomplished brio. What is lacking is the least scintilla of real comic flair. The non-musical vignettes are garbled, repetitive, hammy and dull. Does he seriously think he was the first person to sneak into Glasto through a tent tunnel? Did he really just tell that joke about the guy on acid seeing a stream of freeloaders emerging from a tent? At the Edinburgh Fringe? Dear oh dear. Matters aren’t improved by his laying on the paddywhackery and Irish charm a bit too thick, nor by some desultory and pointless transvestite costume changes, nor by incessant call-backs to lines that weren’t funny first time round. Gilded Balloon Teviot, 622 6552, until 28 Aug (not 24), 2pm, £9.50 (£7–£8).